Primary aluminum production in Canada is a substantial contributor to the economy but also of GHG emissions. Climate policies tend to be effective at reducing emissions but may raise production costs. In terms of mitigating climate change, raising production costs in the Canadian aluminum sector might not be the optimal strategy. 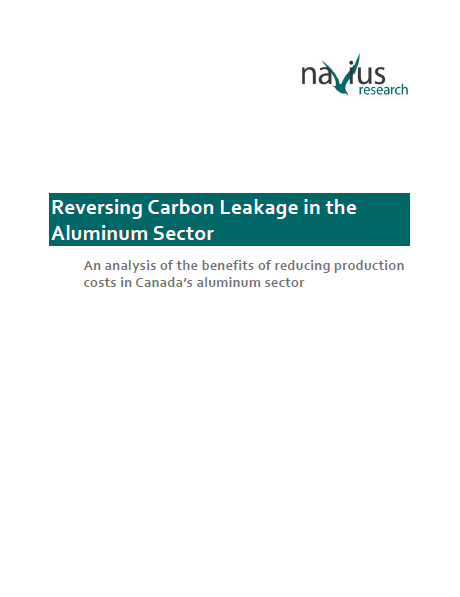 Although GHG emissions may decline domestically, if Canadian aluminum is out-competed by countries with cheaper production, these emissions could relocate internationally – a dynamic called carbon leakage. This report uses an energy-economy model called gTech to analyze the impact of reversing carbon leakage from the Canadian aluminum sector. The reversal of carbon leakage is modeled by simulating a reduction in production costs via the removal of federal corporate income taxes in the aluminum sector. Reversing carbon leakage in the aluminum sector helps to maintain economic activity in the country and reduce global GHG emissions. The Canadian aluminum sector experiences 9% growth in employment, creating about an additional 1,400 jobs from 2020 to 2030. By 2030, Canadian aluminum GDP is $370 million (2010$) greater and national GDP is $27 million (2010$) greater relative to a business-as-usual forecast. Click the image above to download a visual example of carbon leakage. 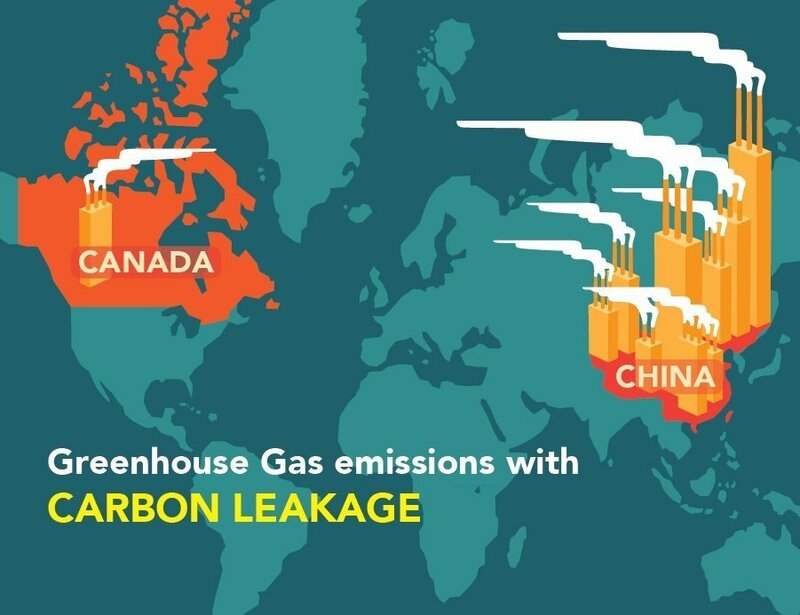 Download the report or the carbon leakage graphic. This study was commissioned and funded by Questerre Energy Corp.
To learn more about this research, please contact Mikela Hein.